^ "Sir Christopher Wren | English architect". Encyclopedia Britannica. Retrieved 2018-08-31. 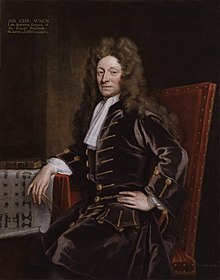 ^ "Sir Christopher Wren | English architect". Encyclopedia Britannica. Retrieved 2019-02-14. ^ "BBC - History - Sir Christopher Wren". Retrieved 2018-08-31. 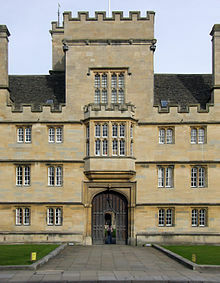 ^ "Sir Christopher Wren | Encyclopedia.com". www.encyclopedia.com. Retrieved 2018-08-31.